TravStar1 Point Of Sale SystemManager's Work Station House Account ManagementHow Do I Send House Accounts (Customers) to the Register? How Do I Send House Accounts (Customers) to the Register? This lesson will teach you how to send the Customer file to your registers once you have made changes to your House Accounts in Customer Setup. 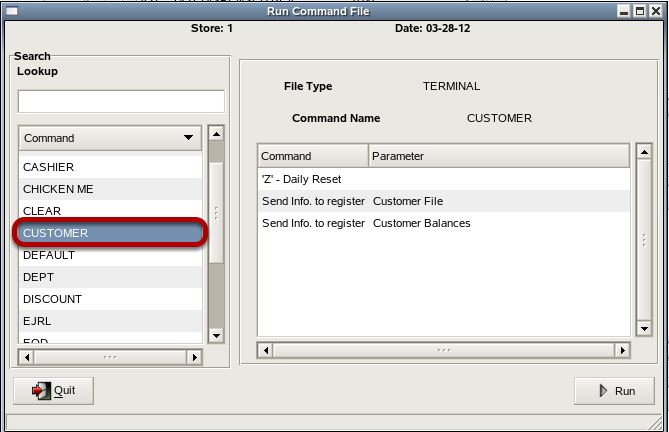 When you send the Customer file to a register, you must perform a Register Z - Daily Reset for the changes to be applied. 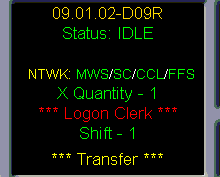 The CUSTOMER command is setup to do that for you and will Z out the current shift on the register when performed. However, you may decide to wait until your regular shift close to send departments to avoid complicating your daily paperwork. 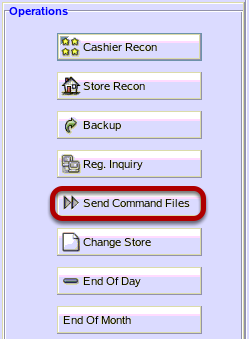 In the Command list drag the scroll bar until you see the CUSTOMER command. Click on CUSTOMER to highlight it. 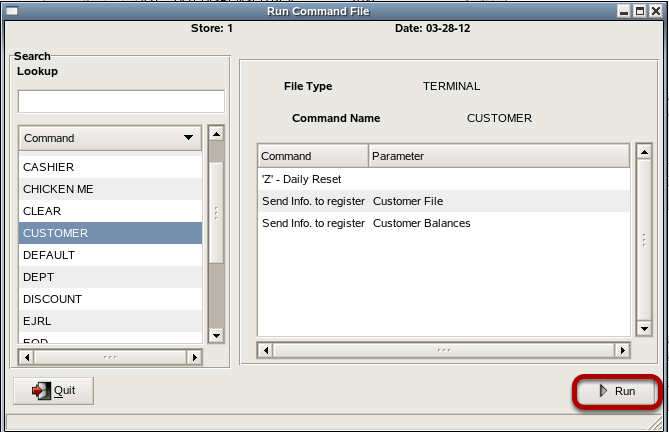 Note: If you do not have a CUSTOMER command setup please see How Do I Setup And Send Commands To The Register? For additional assistance please contact Fiscal Systems Support. In the Command Parameters, notice that CUSTOMER performs three commands. 1) It will perform a Z - Daily Reset, 2) Send info to register Customer File 3) Send Info. to register Customer Balances. 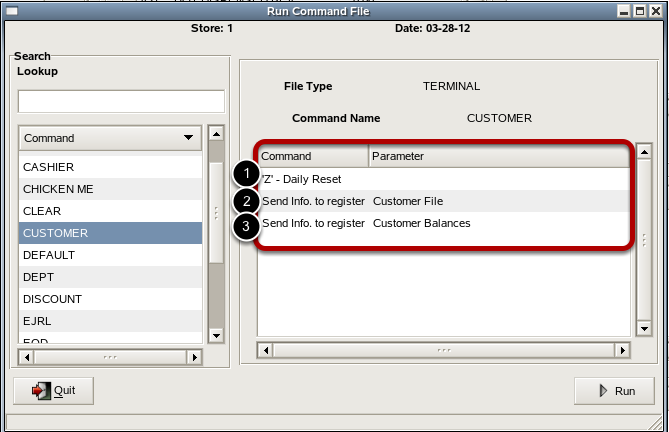 When you send the Customer file to a register, you must perform a Register Z - Daily Reset for the changes to be applied. The Customer command is setup to do that for you and will Z out the current shift on the register when performed. 1) Click on the down arrow to select which register you are sending the file to. It is best to send the customer file to 1 register at a time and allow it to send completely before sending to another regsiter. Your register will run a Z tape first and then you will see the "Transfer" message appear in the top middle of the screen where the date and time normally appear. Note: While the Customer file is transferring there should be no activity on the register. Wait until the "Transfer" disappears in the top middle of the screen before continuing with sales. Prev: How Do I Run Customer Statements?